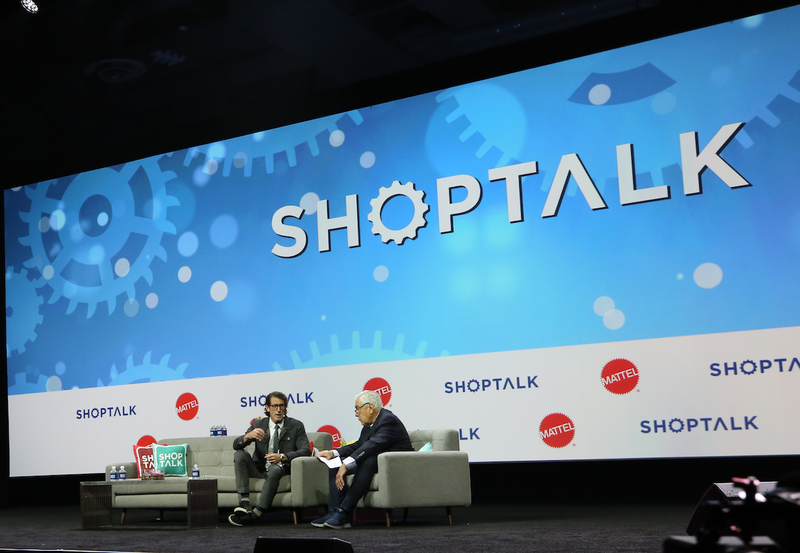 Bob Phibbs interviewed Roy Erez, CEO Loop Commerce while attending ShopTalk19. 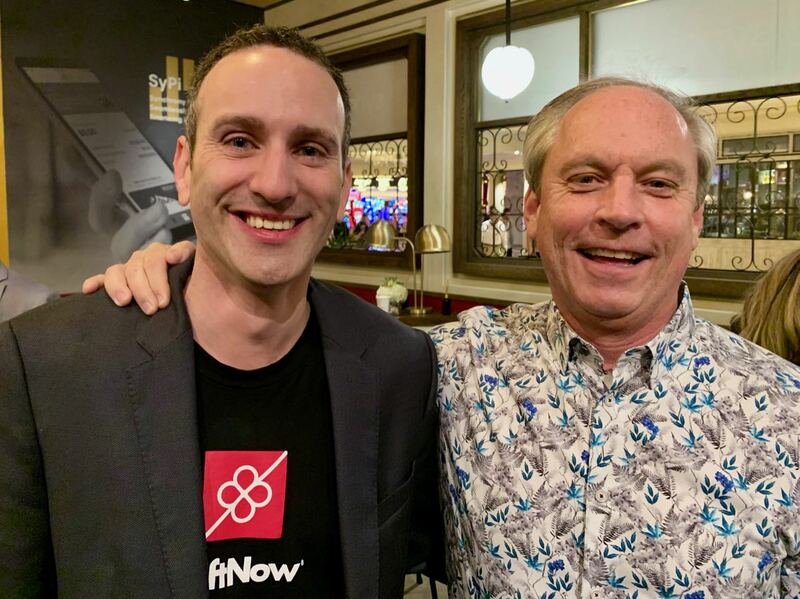 We discussed his experience selling personal computers back in the day and disrupting how commerce thinks about shopping for someone else. Bob: Thanks for joining me on this week's podcast. On this edition I'm speaking with Roy Erez. He is with Loop Commerce, and welcome to the podcast. Roy: Thank you. Glad to be here. Bob: So tell me, everybody has to have a story of brick-and-mortar when they worked as a kid. 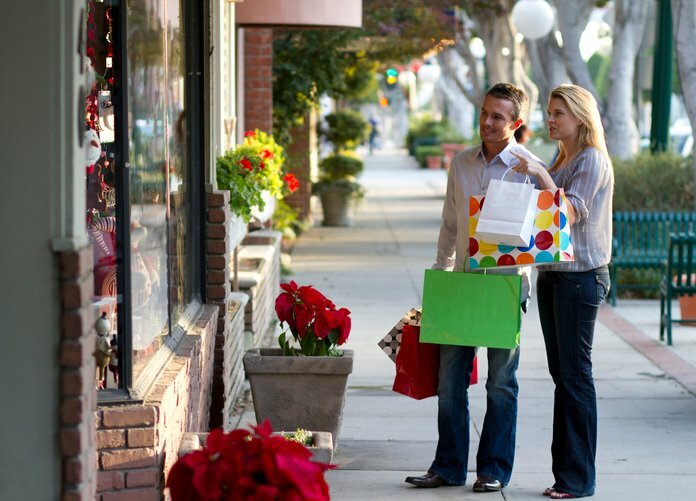 So what's yours working in brick-and-mortar or retail? Roy: Wow, high school, computer store. Bob: Can you say the name of it? Circuit City or something. Bob: So I wouldn't know the brand. Roy: ...Bug something which is interesting enough for a computer store. But that wasn't the point. Bob: It is. Oddly, are they still around? Roy: No, there are a lot of bugs in the process. Bob: Just like the wrong car manufacturer named Lemons. Roy: Exactly. But no, actually I do think they're still around. So it was brick-and-mortar. Obviously, this was pre-Internet. Yes, I'm that old. And I sold computers after school. Bob: Wow, like little Timex computers by then or whatever. There was like as much as 64K probably in the operating system. Roy: Well, I remember my ZX Spectrum in '64, but, no, I was a kid back then. So, yes, I had fun. It was a great experience both selling and I was always into technology. Bob: Right at the start of everything, people were trying to look at it and go like, "Wow, this could be a thing." It moved past the little guys putting their own computers together into mainstream. Roy: And then with that thing on the display, why is it in color? And then there's a printer and that moved to color. It was actually pretty awesome. Bob: I like it. Well, that's not what you're doing today at Loop Commerce. So tell me what inspired you to start this and some of your services? Roy: Absolutely. So I started Loop Commerce. I co-founded it with Alex Sirota, my co-founder, about six and a half years ago. What inspired me was about a year prior. I wanted to buy a friend of mine a gift. A new baby boy. And you go through the motion of if I had a son and I really wanted to buy something thoughtful. And you know that it matters and you want something that he would keep. And then you go through the motion of is it good enough? Do they need it? Do they have it? Then you go down level. Is it blue or is it green? Nothing really triggered. Hindsight, nothing triggered back then. It was just a tedious process. What was interesting is I remember I'm with a credit card in my hand going through a checkout after spending hours of figuring out what to buy and I'm unable to shop. I'm unable to check out. I need a shipping address. I don't know, Upper West Side, New York. Why would I have? an apartment number and a ZIP Code? And I remember it blew my mind. My two options are to...buy a gift card or ask him. This will ruin the surprise and this defeats the purpose of what I was trying to do. Bob: How does that get into a logical conversation? "So did you see the Yankees last night? By the way, if you're going to get something, what address would it be arriving at?" It just wouldn't work. Roy: Yes, so, I just remembered the following day going talking to my admin at the time, different company, and telling her about the story of online commerce obviously is happening. And you're analyzing, you need to know so much about the proper person, the timing should be perfect. When it comes to what we now think about as shopping for someone else, commerce is broken. Bob: But we didn't think of doing that online? Roy: And no one thought about it. It was always an afterthought of gifting as this thing for Christmas. I have gift cards. There is a registry. We're good to go. And I think, by the way, nothing happened. I remember a few weeks later I did go out there. I filed some patents because it made sense. Over time, met my co-founder. We both found it exciting enough to investigate further. Both of us came from previous companies. We've built companies. We've sold companies. But we didn't come from retail. And I think in hindsight, that actually was an advantage because we broke rules. The whole idea was they just don't work if you realize shopping for someone else has a completely different customer journey and process to it. So as we're talking and interviewing retailers and asking the question. It that starts with, "Do you care about gifts?" "No. It's a subset of what I do." Bob: Christmas, that's all we care about. Roy: Christmas. I'm good. We're good to go. "Awesome, so what do you care about?" "Oh, of course, I need customer acquisition. I need to increase my transaction volume. I need more engagement for our customers. By the way, I need to increase my profit from the transaction." Okay, now let's check our KPIs for gifts for a sec. And then you're learning that 15%, 20% of all of transactions in commerce are related to someone shopping for someone else. And now we're talking about over $500 billion a year of merchandise being purchased for someone else. Bob: That starts to sound like some serious numbers. Roy: ...runs through that. We elevated this through product. We're saying, if I want to buy Bob a shirt, I don't know his size. I don't know his favorite color. By the way, I don't even know your shipping address. So instead of eliminating this and saying, "Okay, then I'll not buy anything." Bob: Which is typically what would happen. Roy: Exactly, yes. We just said we're just going to create a new shopping experience and then you check out. And when we started the company, it sounded so easy or simple, just the idea. And we went through the process of learning. One, we got the, aha, you're right. Two, wow, why does this not exist? But then let us explain to you why it doesn't exist because we need to change all these things and we can't change them. And that's when we were so excited. We raised capital. Started the company. Got incredible talent and went through this journey of we're going to completely disrupt how commerce thinks about shopping for someone else. Bob: So now the way it works is so I go on somebody's site and I say, "Gift it." A little box by the checkout. Roy: So you go to a store like a Target or Coach, and you'll see a "Gift now." Exactly the point. Roy: And that's us. You click on it. So the notion is "Add to bag" if you are shopping for yourself. "Gift now" when it comes to shopping for someone else. And then here's the beautry...I don't need a size or even to color. I put it in my shipping method. What's interesting, even that, we changed from shipping to delivery. And this all became e-commerce and the psychology behind this. If I screwed up and I forgot your birthday and Facebook reminded me it's your birthday because that's how people roll these days. And effectively it's too late for the majority of the brands, the retailers out there to accommodate same-day delivery. Because no one ever said that I need to ship you the gift. I need it to be delivered. So the psychology, if I actually create an experience that is beautiful, emotional, thoughtful and you're instantly getting that notification, and so everybody wins. Bob: Then the physical item is secondary. Roy: The physical item, exactly, becomes secondary. So back to the original flow, I'll go to "Gift now." I'll put in your mobile number if I want to text or your email. I can even print it, by the way, if I want to hand-deliver it. I can then send it or deliver it digitally, instantly which again, transforms how people think about this. I always love to think about it from the faster horse mentality. You're seeing how commerce is evolving and everyone is on the fast track of how to accommodate the needs for consumers wanting things now. Roy: Buying companies, a lot of astute partnerships with whoever. Car service etc. etc. We're saying, "Awesome." When you shop for someone else, it doesn't have to be shipped. It could be delivered. By the way, it's free. It's simple. So you get the text saying, "We got your gift." You click on it. You land at the retailer brand, at the store. By the way, they just acquired you because you might have never shopped there in your entire life. But you are now at their property experiencing the brand, experiencing the store. And you're able now, you're going through this beautiful thoughtful experience thinking it's not a gift card. You don't see the price tag on it. Can I ask to go and check out? It's an experience where the box opens up, unravels. Bob: Yes, I've seen it, it's amazing. Roy: Thank you. And here's the gritty note. And I'll go accept, customize, or change it. Bob: Well, I love that idea because also for a retailer I didn't ship this item that the guy may not want, or it doesn't fit, or he doesn't like the color. So my merch never left it unless it was a definite order. And even if the guy says, "I don't want anything," then the default is he gets a gift card. He gets a gift card for it. Roy: ...errand and go to the store and change it. Bob: But now beyond that, then I can also say, "What kind of idiot are you? I would never wear Crocs or something." And say, "I don't want that." Roy: You can definitely do that. Bob: And then you get that. Because I could reply back to you, and most people would say, "Thank you for the gift." Most people are going to say it that way. Roy: We keep it thoughtful. So in today's world, the brand doesn't automatically call the buyer and say, "Hey, your recipient exchanged it." So we didn't do this either. So in your thank you note, you can say whatever you want. So the service doesn't automatically tell the buyer that the gift was exchanged. Because in today's norm, that doesn't happen. Bob: Don't need to know it. Roy: But you, obviously say thank you. By the way, the thank you note becomes a huge thing. The buyer wants to complete that experience. Bob: Actually, nothing worse than giving a gift and no thank you. Roy: Which happens today. You're thinking, "Did they like it? Did they not like it?" Bob: No grandparents saying,"You're going to write a damn note." That's what grandparents sound like, by the way. Roy: It's what grandparents do. So now the grandparents actually get the thank you note and feel really, really good about themselves. Bob: It's a big deal. That's a huge deal. So why isn't everybody doing this? I haven't heard of anybody that's coming after you or Amazon is coming after you because you're not really a payment service as you're kind of hard to define what you are. Roy: It's a good question. We're in the intersection of commerce, and technology, and psychology, by the way, and obviously FinTech as well. So today we processed the transaction. We do the fraud [SP] management as well. Bob: So it does go through you and then you pay the brand. Gotcha. Roy: We become a complete full service, turnkey solution for the retailer. By the way, integration is super simple and it's always funny when we started and evolved. 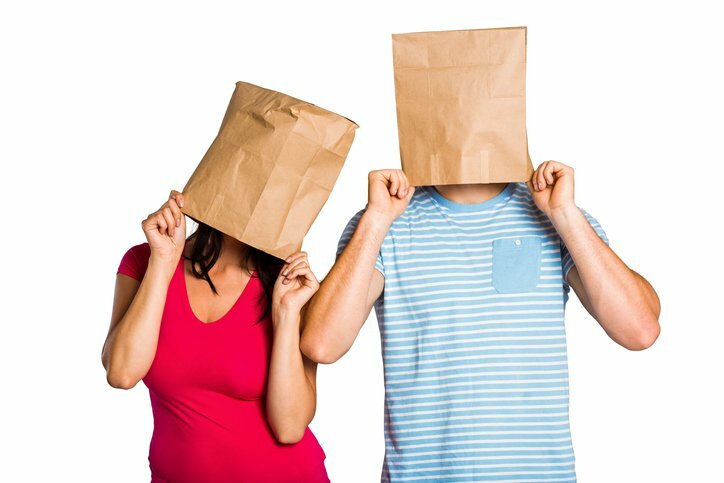 We talk to the retail and they always tell us, "No, you don't know us. You don't know our system. It's really, really complicated here." And it's just fun to have a dialogue and say, "Trust us. We went through this. It's going to take you less than a month. 90% of the work is going to be on us." Bob: No one is going to believe that. Roy: No one believes it, by the way. They always go through the process of really, "You don't know us." And the answer from us is always, "Give us a chance. Just talk to your product folks." And one meeting becomes and it becomes, "We got it. We understand." And then every single retailer we go through, it is probably the lawyers take more time than integration. Bob: Who owns the trademark? Whose customer is it? Whose customer? Is it ours? Roy: So we're an extension to the store, to the brand, to the retailer. We are doing this on their behalf. We are there to support them, to have them, overnight, be able to grow their business from a place that they haven't thought of. [crosstalk 00:12:45] are leaving now for the wrong reason a lot of this could burn them. Bob: So I haven't seen anybody really push this, that we have this option. Is it just getting going? Roy: So it is just getting going, but you have Target, Saks, Neiman Marcus, Coach, Michael Kors, Kate Spade, Vera Bradley, and there are many, many, many that are actually already fully live with it. Bob: But, I mean, are they saying we have this program now that you can gift anybody? That's what I guess I'm wondering. Or is it just a little button that shows up? Roy: So the button is the call to action to start the process. I think now, especially after we were recently acquired by Synchrony which is a fantastic company and a company that actually is all about commerce and retail. They're processing so much in this world. It was a fantastic fit and now we have a lot more resources and support, particularly the merchants and say, "Okay, guys, here is exactly how to promote this. Here's how to talk about this," because we want to go to the retails which we're doing now and we're helping to connect the dots that you're telling people to stop buying in the first 21st of December to get this on time, and you're losing out on the last three days of peak. And then we're showing them how we spike during post-shipping cutoff. Again, people procrastinate. They forget. Bob: All I want to do is get the thank you note. Roy: And you just wanted, you say, "You know what? It's exactly right. Bob, it's exactly right." Bob: I want my credit. You did it. You did it. Roy: You won the brand points. You won the brand points. And it just works. It's elevating the thoughtfulness, reducing the risk, and it opens up new opportunities. You're seeing retail that traditionally didn't have a male audience because let's be honest, guys are not good at this. Bob: Especially trying to dress up the Upper East Side of New York. A lot of packages returned. It's really thoughtful for them. Roy: So it's happening now. Our belief is pretty quickly you'll see G-commerce known as mobile commerce or social commerce. Roy: You know what, it's bigger in size and opportunity, but now all these other clinical categories combined. Bob: Well, especially if it's as easy as you make it. Roy: And that's the point. It's more of they don't know what they don't know. They know Carter Bannerman, they know site conversion. 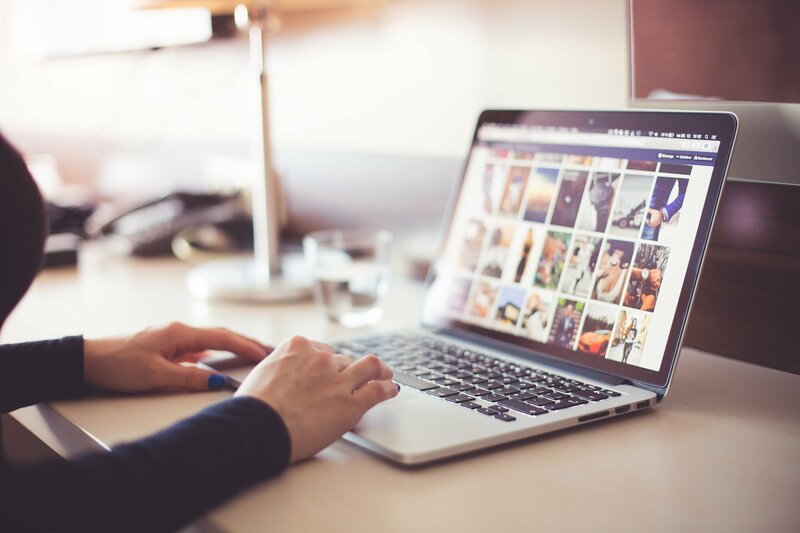 We're just there to educate them when you talk about optimizing for Carter Bannerman and site conversion, you've never asked the question, why are my customers there in the first place? And we're just saying there are two buckets. Shopping for yourself, shopping for others. Shopping for others is not as significant. Focus on them, it's really, really easy to convert them. And that's the thing, it becomes incremental. These are not transactions. It goes beyond, it's nice to have and better experience. It's actually binary. If I don't have your shipping address, I'm not buying, period. Bob: Yes, I was going to say it's a whole different market. Roy: Or if your retailer can't cater to my immediate need to ship it to Boston today, I'm not shopping here. So we're able to just think about the post-shipping cutoff. We're able to increase by three to four weeks, peak call date year around for every brand. And then when you think about the birthdays, it's actually a bigger opportunity than holidays. We always think again, gifting is holiday season in December. Even in December the number one occasion are birthdays. Bob: Wow, nice. So tell me something good about retail. Roy: Something good about retail. I think people are thinking too quickly and asking the question, is retail dead? No. Retail is not dead. People are buying. People are shopping. It's evolving. It's not dying. And what we're trying to help it evolve is to become one more around experiences, and there is an interesting thing. People tend to think there are products and there are experiences. So you can either go to Target and buy goods or I can go and buy you...everyone says Millennials would love to actually buy an experience, a spa. We bridge those two worlds. We actually make the delivery, the buy, the delivery, the acceptance of products, we make those an experience by itself, just through that, through making it digital. So I think retail is evolving. There is a lot of upside in growth and we're going to be a catalyst in it. We're having fun. Bob: Cool. Well, thanks very much for being with me, Roy. To learn more about Roy go here.